Dogs are not immune to allergies, in fact, they can be just as susceptible to painful and uncomfortable allergic reactions as people. And, as with people, dog allergies are on the increase. 1 in 10 dogs are now thought to suffer from allergies, which is why more and more vets now undertake dog allergy testing on a regular basis. No one is quite sure why this is the case but Cliff Bassett, an allergist with the Long Island College Hospital in Brooklyn believes the increase in CO2 pollution in the air is definitely one factor. Higher Carbon Dioxide levels lead to plants produce 3 or 4 times more pollen, causing more allergy problems for us and our pets. Allergies in dogs tend to take the form of itchy skin, which they constantly bite, lick or scratch. Ear infections are a common indication that your dog may have an allergy, as is excessive shedding. If you are concerned your dog might have an allergy, then read on for some information and tips about allergies and different methods ofallergy testing for dogs. What kind of allergies can dogs have? Fleas aren’t just annoying, they are quite literally irritating! Fleas are probably the most common cause of allergies in dogs. The protein in the flea’s saliva can cause an allergic reaction when it bites the dog. Keeping on top of preventative flea treatments and making sure to wash and treat all bedding and toys if fleas sneak in is a good way to keep fleas well away from your dog. These are allergies which are triggered when the dog comes into contact with an allergen. Allergens can include certain plants, fabrics, fibers and chemicals. Some dogs are allergic to certain types of collars or blankets, because the contents of the material irritate the skin when it comes into contact. You will be able to track this kind of allergy by noting when the symptoms occur. And if there is a pattern appearing with a certain object. Some dogs get rashes and skin irritations when they get into certain plants, such as Wandering Jew, and certain grasses. The most common food allergy among dogs involves certain proteins, either plant or animal based. 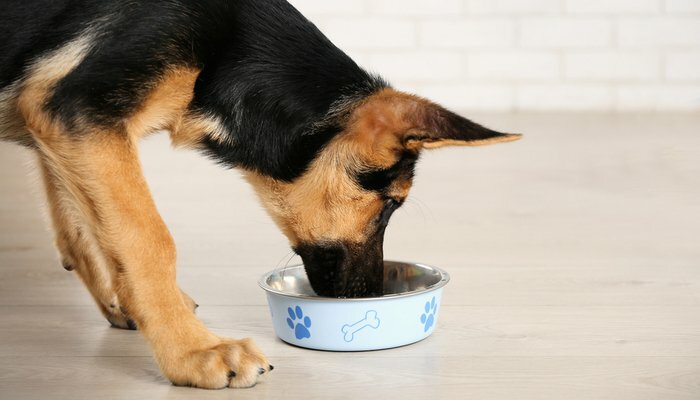 This is because sometimes the molecules which are broken down when proteins are digested can be confused by the dog’s system as a harmful threat. When this happens the dog will experience a rejection of the protein through uncomfortable symptoms. The side-effects of food allergies are usually: digestion problems, breathing issues, itchy skin, and shedding. Elimination diets are a good way to narrow down which foods are upsetting your dog. Basically, they are allergies which occur when the dog inhales certain allergens. 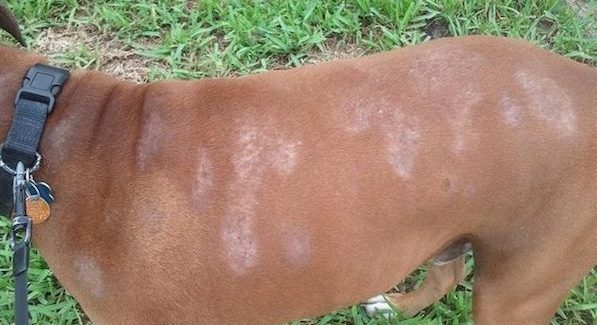 These allergens then irritate the skin, which creates extreme itching and irritation, which can cause the dog to scratch to the point where the skin becomes very raw and painful. These allergies are not very fun for your dog! Common allergens are: dust mites, pollen, and mold spores. You might notice your dog is more allergic during certain seasons, just like humans get hay fever during the warmer months. Signs to look out for . . . While allergies can’t be cured, they can be kept under control with careful management. But of course you have to have identified a problem in order to manage it. Most dog owners know when their dog is well, and can tell when something is wrong. The skin and fur are the best symptom-communicators, as hair loss and rashes are instant signs of an allergy! 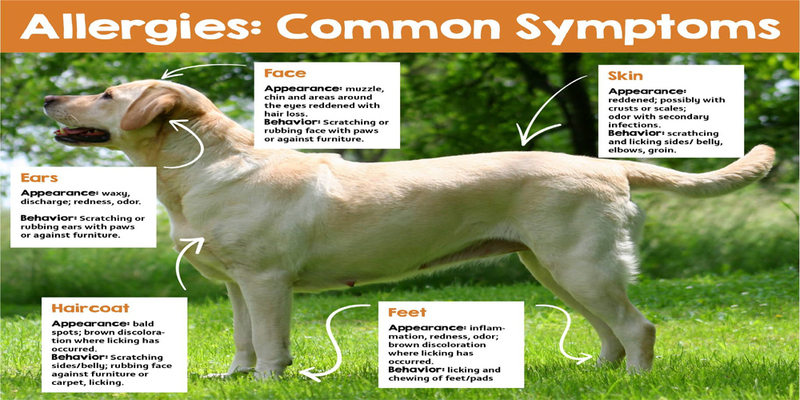 Take note of these symptoms and do some investigating to try and pinpoint what kind of allergy your dog has. This information will be handy when you take the dog to the vet for testing. A small amount of blood is taken from the dog and tested for various allergies. 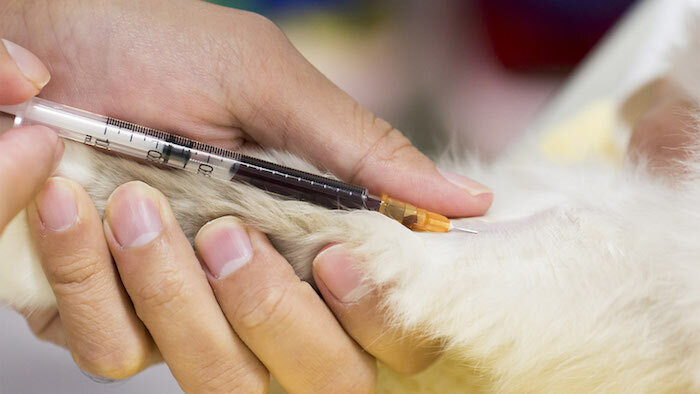 It’s best to do a blood test when the dog is irritated and has been in contact with the allergen, so the vet can see what the effect has been on the dog’s system by looking at the blood. This is when a patch of the dog’s skin is injected with tiny amounts of allergens and monitored to see the reaction, if there is any. This is a safe procedure which is done while the dog is sedated. A patch of fur will be shaved so the skin is clearly exposed. This is simply when the dog is put on a strict and monitored diet where all suspected allergens are removed from the diet, and the dog’s progress is tracked. This can be quite a lengthy process, as sometimes allergens can stay in the system for up to 8 weeks, so it takes a while to see any real results. It’s worth it though, because you will eventually figure out the best hypoallergenic diet for you dog to keep him healthy and happy. Talk to your vet about how to go about this for the best results. 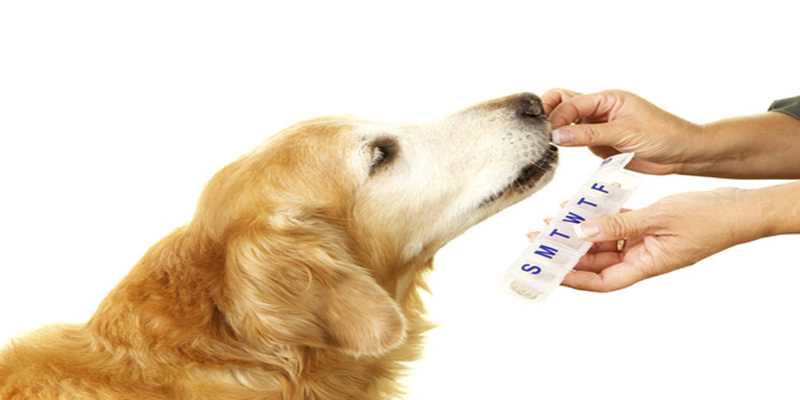 Hair and saliva testing are sometimes suggested to diagnose dog allergies. These tests have not been proven to be an effective or valid way of investigating allergies. It’s better to spend your money on tried and true testing methods such as blood tests and skin tests done by your veterinary professional. 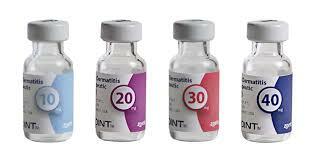 Antihistamines are prescribed for dogs, just like they are prescribed for humans with allergies. They are effective at reducing the itchy, inflamed and irritated skin caused by allergens. The downside to this method is that they can sometimes cause the dog to be tired and lethargic. Your vet will know the best option for your pet when it comes to antihistamines. Perhaps you will only have to give them to your dog during the most allergy-inducing months. These types of medications suppress the immune system so it doesn’t react so drastically to allergens when they enter, or come into contact with your dog. There are some side-effects to steroids such as weight gain and thirst, so they are usually prescribed seasonally and when needed, rather than all the time. Shampoos and topical treatments are great for soothing and reducing inflammation. They can also clean the skin and remove dead skin cells and anything that might cause a yeast or bacterial infection due to the raw or irritated skin from the allergy. 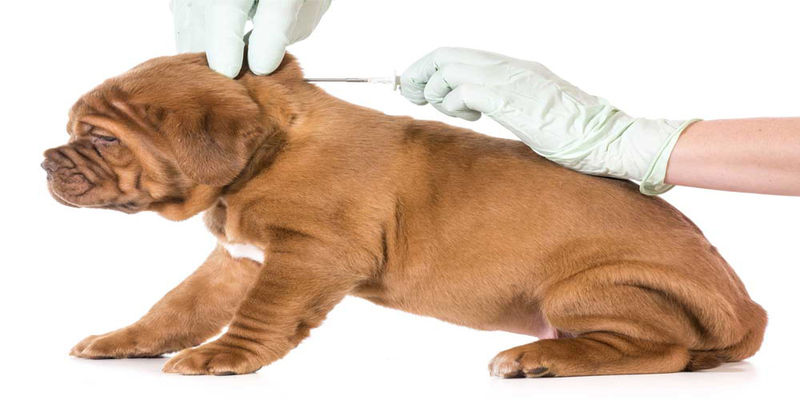 This is when the dog is given injections once a week (approximately) of antigens. 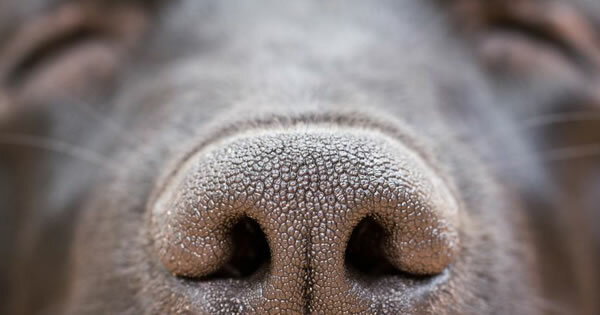 What this does is gradually change the dog’s immune system so it eventually becomes desensitized to the allergen. Gentle shampoos and treatments can really soothe your dog and help to reduce rashes and itching. Oatmeal is a great ingredient for this as it moisturizes and helps to reduce inflammation. Ask your vet about which product is best for your pet and his specific allergy. 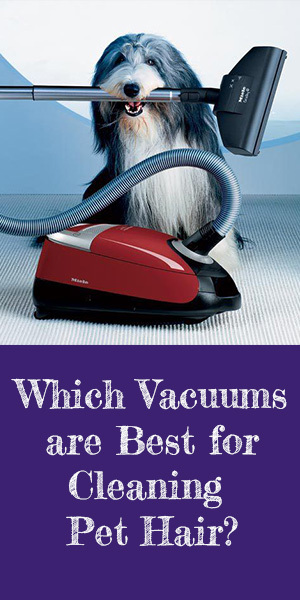 A good vacuum cleaner designed for pet hair is crucial for any home where pets live, especially allergic, heavily-shedding pets! A hand-held or stick vacuum is also a good choice if you want a quick solution to your pet hair cleaning job without having to haul a big vacuum out of the closet. Find your dog a hypoallergenic blanket and train him to use this for sleeping and resting. This way, the hair will hopefully be shed in one main spot, rather than all over your carpet and upholstery! You can regularly shake-out and clean the blanket, so the hair is kept under control. It’s common for dogs to have allergies, especially during warmer months where pollen, grasses and spores are rife. Keep a close eye on your dog if he starts to display signs and symptoms of allergies. Get your dog to the vet for a check-up and gather as much evidence and information as you can, so the vet can conduct a thorough assessment of the dog’s potential allergies. Some form of dog allergy testing may be necessary. 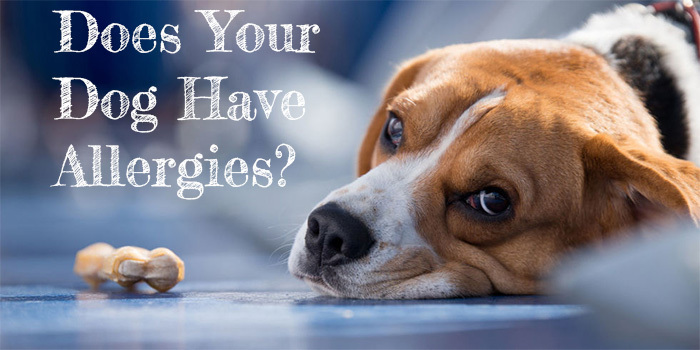 Once you know what is irritating your pet, you can put treatment methods in place to keep those allergens well away! Whether it’s food, plants, fabrics or tiny breathable spores, you can help your dog to stay healthy and comfortable.